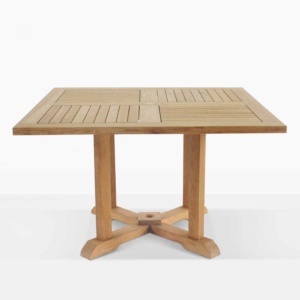 This A-grade teak outdoor dining set for two is beachy and casual with a hint of sophistication; it’s the perfect look for outdoor dining. 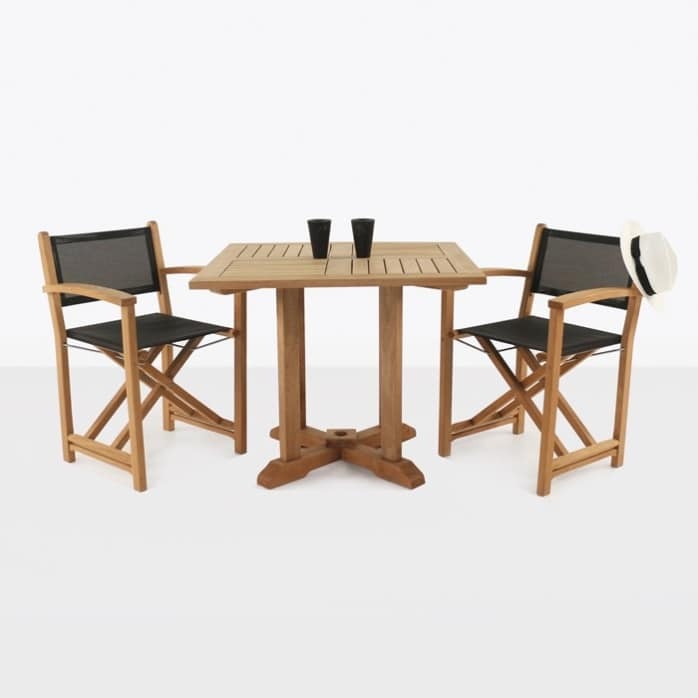 We paired our 90cm square pedestal dining table with two Cannes Directors chairs in black. Both are made with A-grade teak, which is the most premium of teak wood. 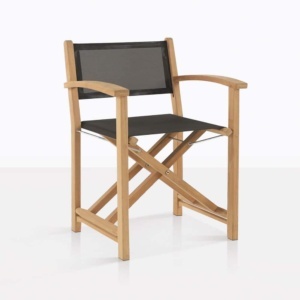 The chair is also made with a Batyline mesh seat and marine grade stainless steels fittings. The mesh seat does not need a cushion. And also importantly, this chair folds up for easy storing when not in use. This chair is a popular choice in the boating industry because of its functionality and durable materials. We love this dining set and think you will too. If you would like to know more about this set then give us a call today at 0800111112, we are open 7 days a week.